My father passed away before he could share some of our family’s most prized treasures. Two of these treasures are frequently mentioned and missed recipes. The first is his famous Caesar’s Salad. I don’t know what he did differently with his salad–more anchovy paste? More Egg? Did he let the dressing stew longer?–but I have not had a caesar salad that could hold a candle to his. For a few years after his passing I would try a number of salads just to see if it could compare. I eventually decided to save my money and swear of Caesar’s salad. Why bother trying to copy what has never been copied? The other lost recipe was more of my mother’s work than his. My parents combined their culinary powers to produce one of the most delicious barbecue sauces known to humanity. My mother would make the sauce to my dad’s specifications. I know they used Open Pit as a base instead of ketchup, but it was a day long affair of sautéing, stewing and grilling. Both of my parents promised to teach me the secret of the Award Winning Sauce (16th out of 600+ at the Mike Royko Ribfest) but they never got around to teaching us. Both are gone forever. There is no way to recreate the Casear’s Salad Dressing. There is chance at rebuilding my mom’s BBQ sauce… But then I would be stuck recreating their legacy instead of working on my own. My parents did not want me to dwell on what was. They wanted my brother and I to excel beyond their wildest dreams. We can’t do that if we are stuck trying to recreate the lost sauce. If either Tony or I stuck to the past, neither of us would have learned to grill. Our father promised to fill us in on his secrets, but we had to relearn them. And we did. That’s why this Sunday, Tony and I will be trying a new sauce. We will also tap in to our recently discovered Grilling Skills and slow cook our the ribs we intend to serve as we celebrate my parents. Our new sauce may not be as awesome as what we lost, but given time, we will learn. While I figure out what to write today, I’m relinking this post from two years ago. Press to click won’t let me get the entire comic. Go. Click. Comment. Fumblog » Archive » Talking To Dad. I did it. 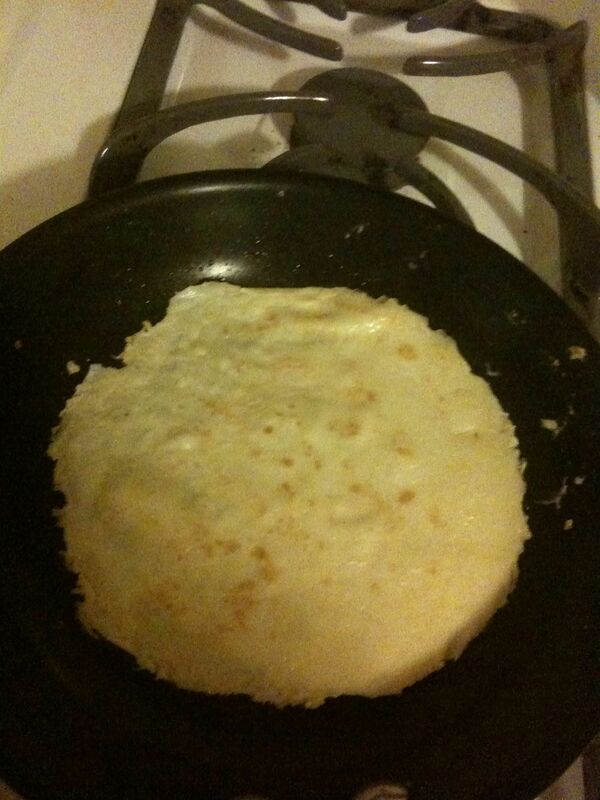 I took crepes from my dad.